Interviewer: [off-screen] Just tell me when you're rolling. A meander through murky swamps & society's red-necked underbelly. The Paperboy is one of those films that has a fine cast, a director with a track record (Lee Daniels, Oscar nominated for Precious) and an interesting plot, but will be rarely seen and largely forgotten by year's end. Sometimes there is no justice in the film world; just ask Ben Affleck about being overlooked by AMPAS as Best Director this year for Argo. It's well performed, directed with few flaws and the cinematography hits the spot perfectly, but the trouble is, in terms of ratings, that it isn't easy to sell. 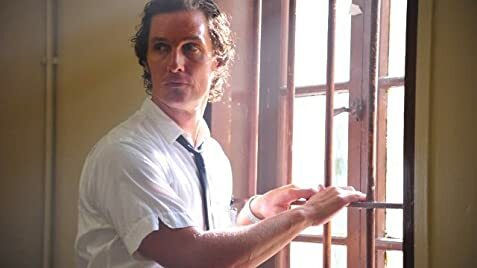 Essentially, The Paperboy is a dialogue-driven film about an idealistic reporter, Ward Jansen (Mathew McConaughey), who returns to his hometown in the backwaters of the red-necked American south to investigate the conviction of a man on death row convicted of murdering a sheriff. When Charlotte Bless (Nicole Kidman), the infatuated pen-friend of Hillary Van Wetter (John Cusack), the murderer in question, approaches Ward for help, he recruits his bother Jack (Zac Efron) and colleague Yardley (David Oyelowo) and sets about investigating ineptitude and corruption surrounding the case. It isn't a pretty story, it doesn't race along at breakneck speed and it isn't a film that haunts the viewer long after the credits have rolled. It is, however, a thoroughly enjoyable tale that meanders through some murky and terrible swamps, both literal and metaphorical, and will satisfy those with a penchant for the underbelly of society. Based on a true story and one from the official selection for Cannes 2012, The Paperboy is a dark story that at times is very unpleasant. It goes to places you almost certainly want to avoid in your life. There are no sweet and lovely two-dimensional characters here but 'regular Joes' with twists in their psyches and the relationships between the principal four keeps us on our toes. 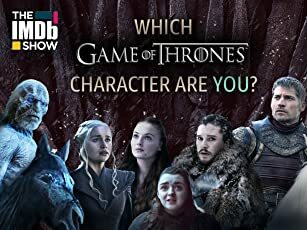 Each has secrets or sides to their characters they try to hide and each is capable of damaging another willfully and yielding or ignoring their conscience after the event in their own self-harming manner. Efron shows signs of shaking off his teenybopper roots and it is encouraging to see him take a long and effective step away from such pulp as last year's predictable The Lucky One. At last we see something of a character developing from him, and Jack's relationship with the maid, Anita (Macy Gray), who also narrates much of the story, gives a hint of warmth to an otherwise cold and twisted collection of characters. Both McConaughey and Kidman stepped away from the 'beautiful' roles sometime ago, though there is still a feeling of them playing 'against type' here, which isn't fair as both are very fine actors with some startling performances in recent years. Here they allow themselves to be engulfed by the perversions of their roles and are eminently watchable though you wouldn't much 'alone time' with either of them. Gray is overlooked largely and, though her Anita is supposed to be the all-seeing character that fills in the gaps for us, she feel inconsequential much of the time. It is Cusack that startles most of all here. He often frustrates as a fine actor in turkeys (Hot Tub Time Machine, The Raven) and then blindsides us with another performance we've been desperately hoping for. As Hilary he initially causes reserved sympathy from us as he stumbles into the scene disheveled and emotionally crushed. We can almost smell the grease in his hair and his fetid breath and recoil at the thought of Charlotte sharing anything more than a letter with him. But he evolves and repulses as The Paperboy unfolds in a performance every bit the antitheses of his signature role, Martin Q. Blank, but equally memorable. Whilst an unpleasant character with whom to share time, the performance is absorbing. Just please don't let this be the last time we enjoy Cusack for another five years. Daniels has crafted a film of relationships with confused issues. Life isn't always clear-cut and often it is just plain dirty. 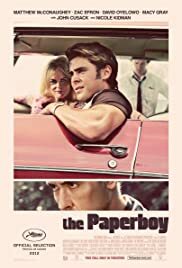 Though less successful, financially, than Precious, The Paperboy is a far more mature film with a great deal more flare. Although Daniels hasn't had the courage to shoot it entirely in the style of the period, there are enough references to the late sixties and seventies with split screens and flares to transport us back the era of segregation and Tarantino's favourite word. It won't last long at the box office, but The Paperboy is a DVD treat for an evening that calls for something more than schmaltz or easy laughs and requires some emotional investment. 44 of 59 people found this review helpful. Was this review helpful to you?